Most readers doubtless know that the French helped, not only at sea, by helping to keep the English from landing reinforcements, but by land, with the force under le Compte de Rochambeau combining with Washington and Lafayette’s forces to besiege Cornwallis at Yorktown. Cornwallis’ surrender sapped the will of the British public to continue the fight against their aggrieved cousins in America, and was the single event that is usually considered to have ended the war. France entered the war following the defeat of the British at Saratoga, and immediately sent a large naval force out under le Compte d’Estaing. d’Estaing was supposed to help free Philadelphia, but found it already back in American hands on his arrival. The French and Americans agreed to try instead to remove the British from Newport, Rhode-Island. Due to miscommunication, damage sustained due to storms, and mauling of his flagship at the hands of the Royal Navy, d’Estaing withdrew, leaving the Americans feeling betrayed and discouraged. Another abortive action at Savannah, Georgia sent d’Estaing back to France, with much ill feeling in his wake. It was into this fraught situation that Rochambeau’s Expédition Particulière set sail from Brest, carrying 5,500 soldiers to Newport; by this time, it was back in American hands, though much the worse for wear. Arriving in July of 1780, they remained encamped there for a full year, before marching with Washington’s troops to Virginia and destiny. In my forthcoming novel, The Path, we’ll get to see the Expédition Particulière from the viewpoint of an ordinary foot soldier in its ranks, a young man whose fondest wish is to return home safely to his mother after honorable and useful service to his King… but fate sets him on a very different path. We’ll see the pernicious effects of slavery, on both the enslaved and the enslavers, and see early America through the eyes of a visitor to our shores. I’m looking forward to sharing this story with you all! This entry was posted in history on July 2, 2017 by Lars D. H. Hedbor. I, like many authors, am sometimes taken to task for killing off favorite characters. While I’m no George R. R. Martin, my stories (being set in a time of war, and a period of far more medical uncertainty than today) often rack up a body count. It is well to remember that no matter how happy their endings, my characters (real or imagined) are two hundred years in the grave. Sometimes, as when I’m researching period art, and I come across a particularly striking portrayal of someone who clearly loves being alive, who lives and smiles on from the canvas, and yet is no more than moldering bones today, this gives me a sharp, even unbearable pang of grief. It also helps to remind me that we are, all of us, short-lived, mortal, and bound to the same fate that overtakes our characters. What matters, though, is what they — and we! — do with the days that are granted in this human experience, and in telling their tales, I am helping to extend my characters’ time in the company of the living. So, rather than mourning the deaths of the characters who people my pages, I encourage you to celebrate their lives, and the fact that through my words, you have had the opportunity to know them and to keep the flame of their memory alive. As an author, I certainly prefer that to being pelted with rotten fruit, at least. This entry was posted in characters, history, writing on August 31, 2015 by Lars D. H. Hedbor. How did these colonies, comprising nearly the same population as Mother England, and only feeling loose allegiance amongst themselves, rise up and throw off the rule of the greatest imperial power around at the time? More critically for my stories, what drove the individual colonists to make the essential shift from being loyal subjects of the Crown to being citizens of the new nation? My characters have each answered this question in their own ways. Some, indeed, have not made the shift, and retain loyalty to England, even in the face of great personal risk and harm. It is a fascinating question, and it strikes at the heart of what makes the American Revolution – indeed, the American experience – an exceptional one, even a unique one in history. It is the question which, above all others, I’m constantly probing at as my characters’ stories unfold across the backdrop of the monumental events that have swallowed up their lives. Come along with me as we try to find some answers? 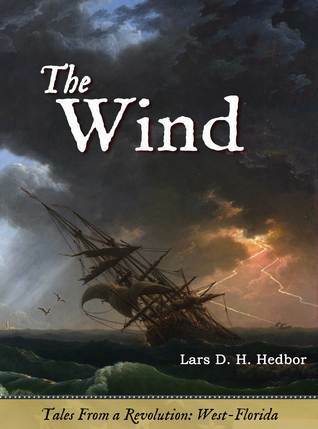 This entry was posted in characters, history on July 4, 2010 by Lars D. H. Hedbor.